In small bowl, mix icing sugar and enough milk for spreading consistency. Spread on tops of doughnuts. 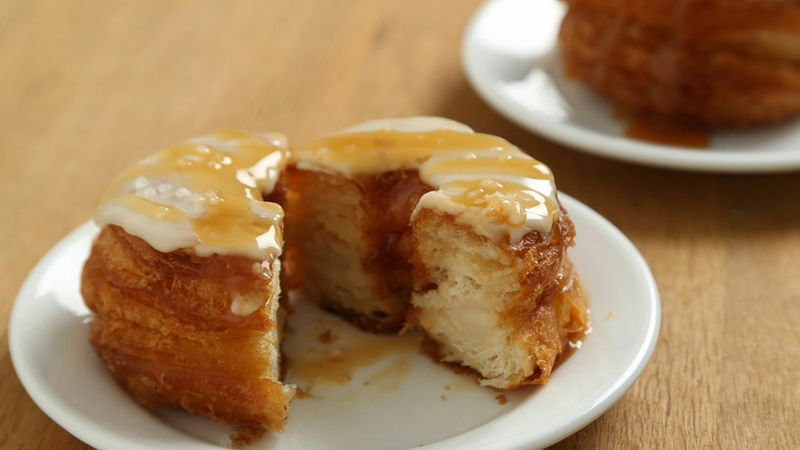 Drizzle with additional caramel sauce. Add food colour to the icing sugar glaze for a fun and colourful doughnut topper. Cut doughnut holes out of dough scraps with 1/2-inch biscuit cutter.